WASHINGTON — Dozens of House Democrats staged a “sit-in” on the House floor Wednesday and insisted they will not leave until politicians listen to the voice of the American people. Legislators pledged to “occupy” the House carpet until their demands are met or the maintenance staff comes to vacuum. 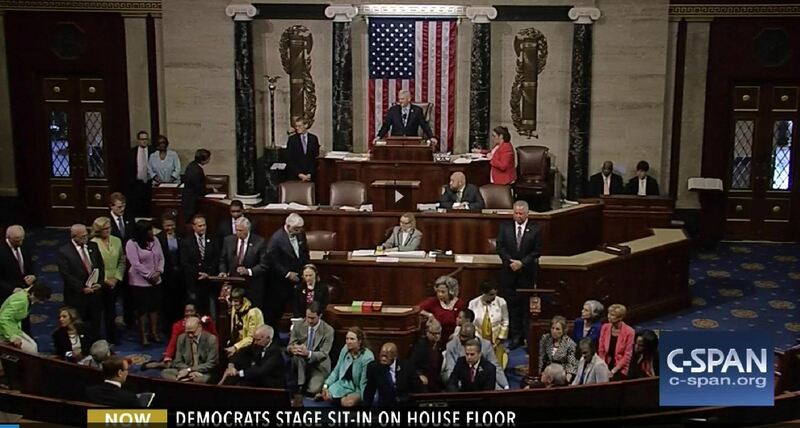 C-SPAN cameras were turned off leaving millions of people wondering if they get C-SPAN. “Donald Trump is a lousy businessman and a thin-skinned bully,” Senator Elizabeth Warren (D-Ma.) explained. “His Trump Steaks are gross and his sons shoot elephants and leopards for fun. He is lying to the American people about his stance on animal agriculture! We will sit here until every farmed animal is free, every grocery store shelf is filled with vegan food, and every farm sanctuary and farmed animal advocacy organization is properly funded!” Warren added as she shoved entire blocks of tofu in her mouth and swallowed them whole. The House is not expected to vote on the bill until the animal agriculture industry stops funding their campaigns. Excellent work by these house democrats standing up to factory farming. Protection of animals is vital to helping the climate. Thank you Congressman John Lewis & the others who want to see a plant based job industry. How do you come up with the sit in is about factory farming (though I am completely opposed to factory farming)? The sit in is about gun control legislation. I am confused. Is this a parody or is it true? I know Andrew K. sometimes writes these things as parodies. Wasn’t there a sit-in about gun control? I do not follow US news all the time and would appreciate it if parodies would be clearly indicated so that i would not make a fool of myself when I shared your work. Thx. Duh! & Oy Gevelt! We are in trouble if people do not see this as parody. Heaven help us! Yes, gun control, of course; but the end of all cruelty (animal abuse & human abuse) is what we should have evolved to by now.